BMW has got this car right. Let me just start with that. The body size is perfectly suited for a family and there is room for everyone to enjoy. At the same time the chassis is sporty and the new look of the car is so refined. 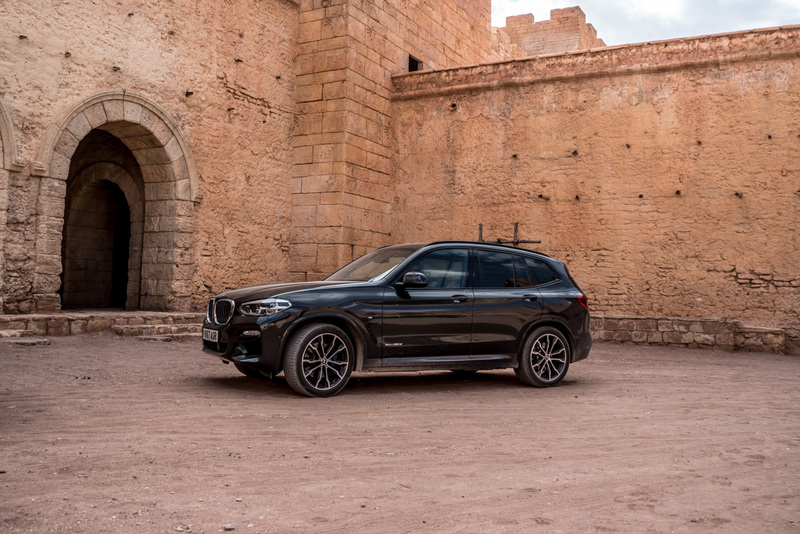 With a bigger grille and contour lines on the hood, The rear of the car also now has sharper lines down towards the Hoffmeister Kink from the window. It looks more mean. More sporty. More like a driving machine. As standard you have 4 Wheel Drive, LED Headlights, 18” Alloys, 3-Zone Climate Control, Leather Seats, SatNav, Park Assist including Reverse Camera and more gadgetry. 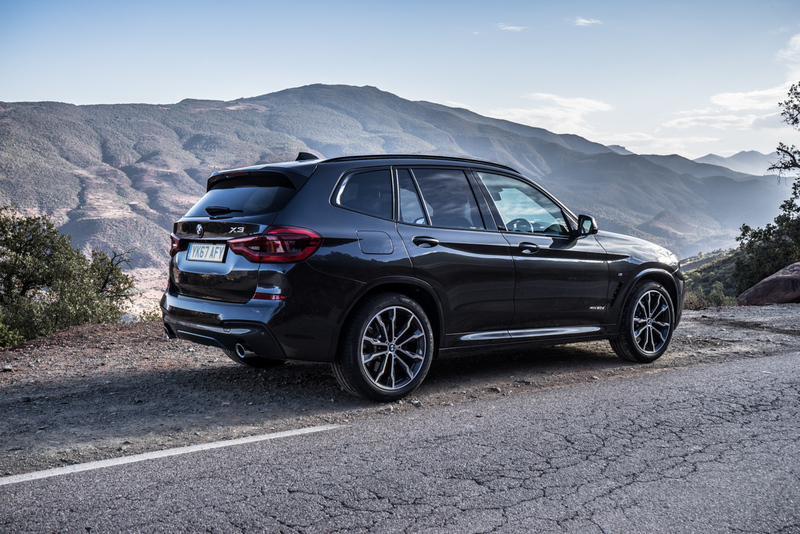 Our entry level car is the xDrive 20i SE which comes in at £38,000. 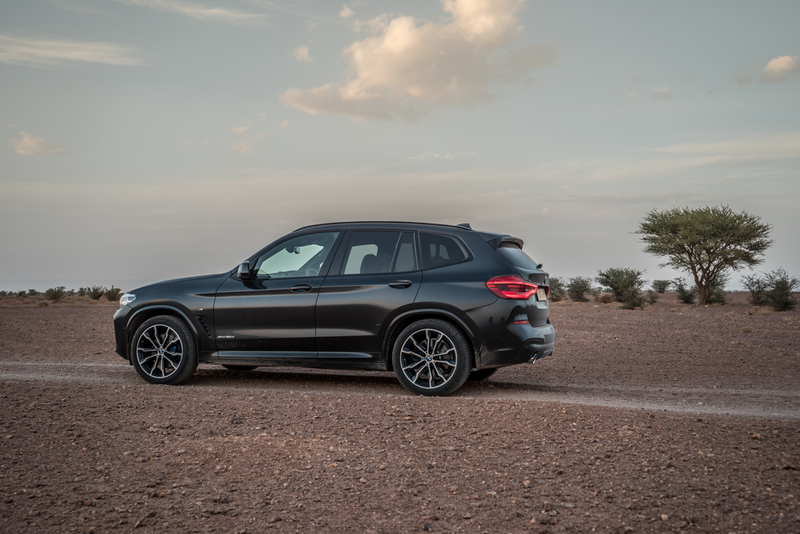 Then you have the xLine and M Sport lines which take things further… The top of the line is the xDrive 30d M Sport, with a xDrive m40i following later on. 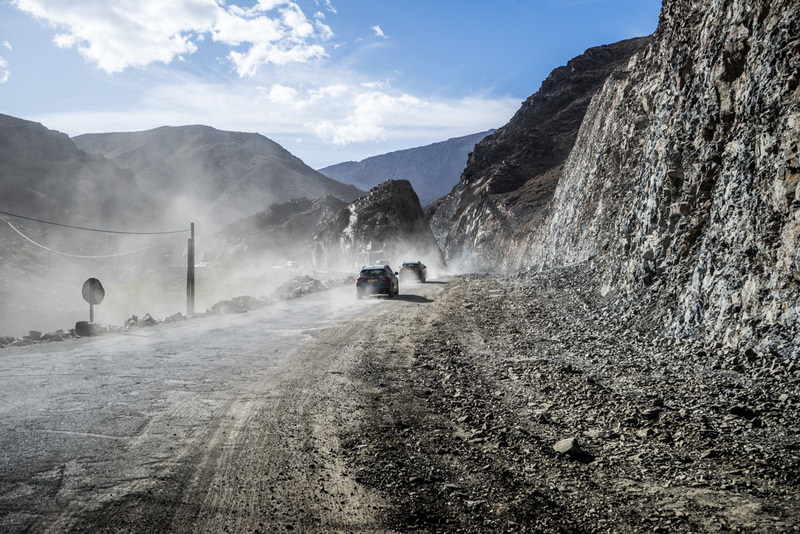 So, here we are in North Africa, and we’ve just driven one of Morocco’s most dangerous roads through a mountain pass with tonnes of corners, off road patches, rocks and bumps. 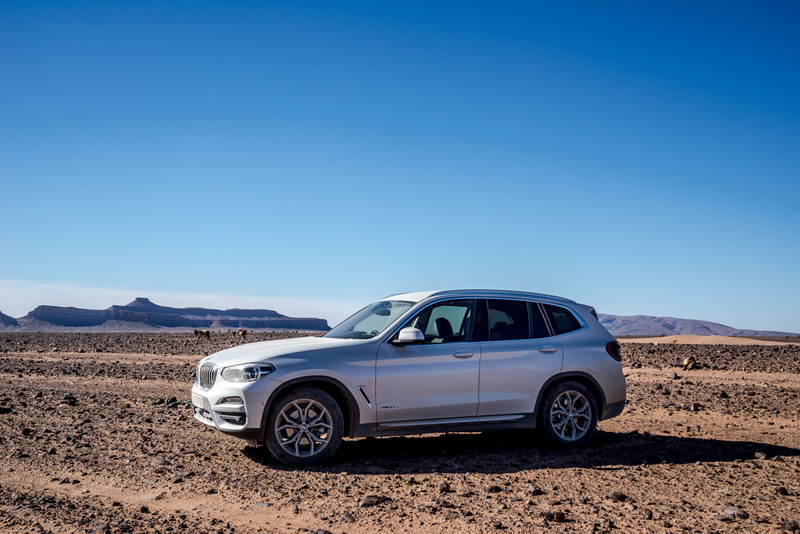 Amidst the madness of the terrain, the X3 is still just fine. Shaking off everything like it doesn’t really matter, you realise the car is truly an SUV and when you give input; The car responds accordingly. The ride comfort is decent and the performance (especially with the 30D Engine) is brilliant for class. Its smooth, characteristic and easy to enjoy. 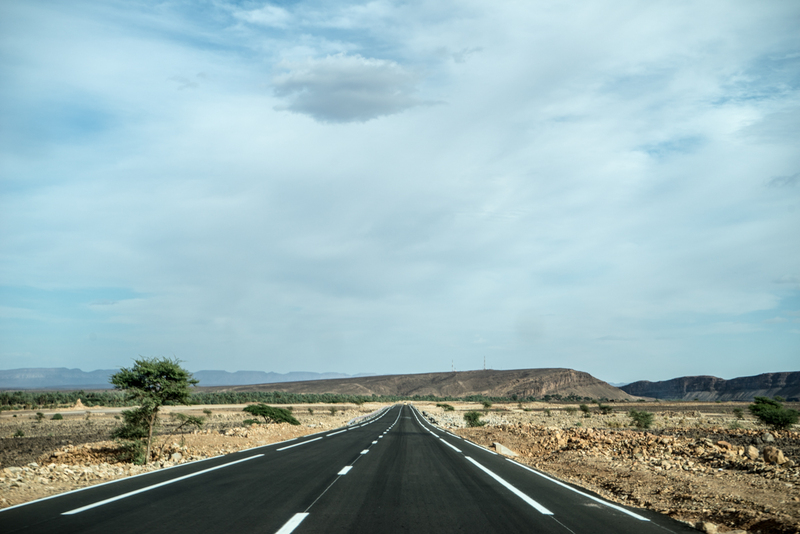 During our adventurous drive through Morocco, we passed through Atlas Studios, where incredible productions like Game Of Thrones and Gladiator were shot. The guys at Atlas kindly let us bring our cars in to the studio and take a little look around the incredible and iconic movie sets. 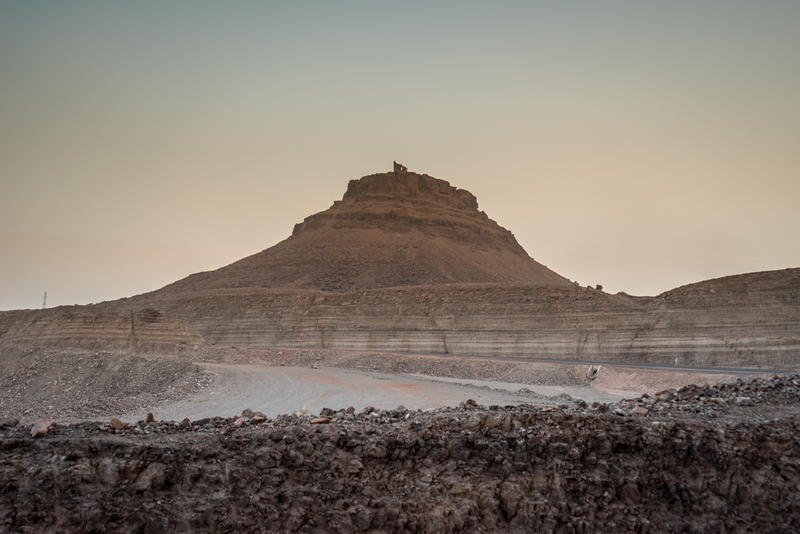 After an intense day of driving, we arrived to the edge of the Sahara Dessert, where we ventured into the darkness towards a campsite that was set up for us. 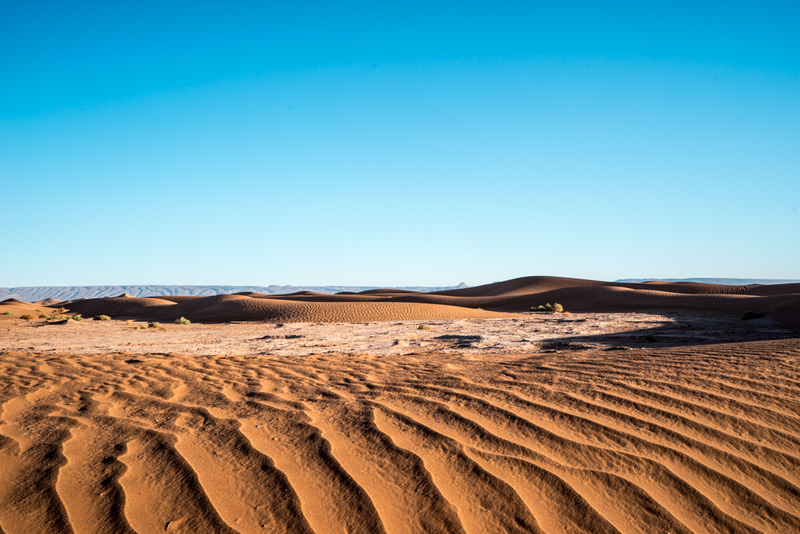 Literally, in the middle of nowhere… After sampling some traditional Moroccan cuisine and entertainment, we rewarded ourselves with a refreshing sleep under the stars. The following morning just before sunrise, we awoke to dunes. Sand and nothing more then sand. 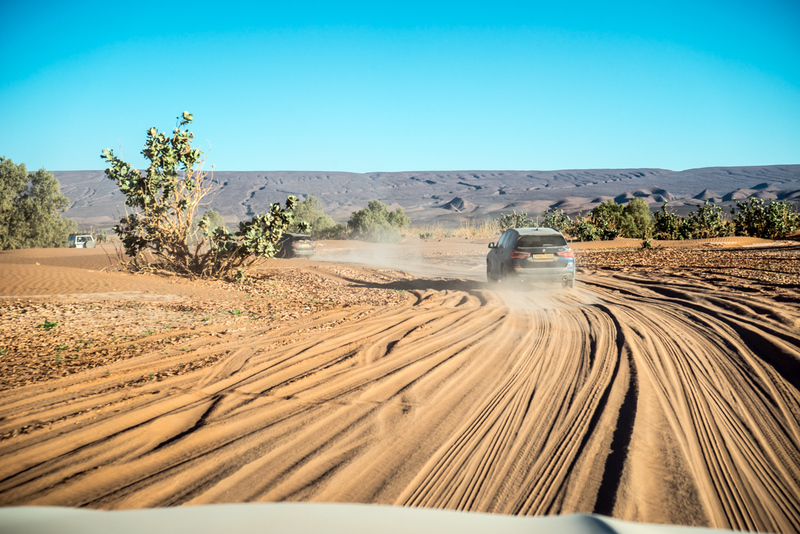 Into the cars by sunrise with nothing but the stunning horizon of the Sahara in front of us, this moment is where we got to extensively test the new BMW X3 off-road. The adventure continues. 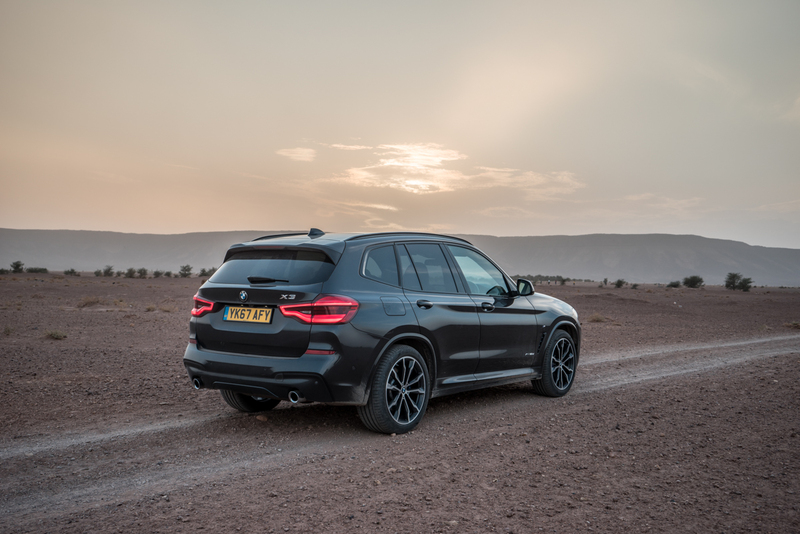 With the traction control off and the car in Sport, we enjoyed utilising the xDrive system to get up and down the dunes. The car seemed to handle everything we threw it at with ease. 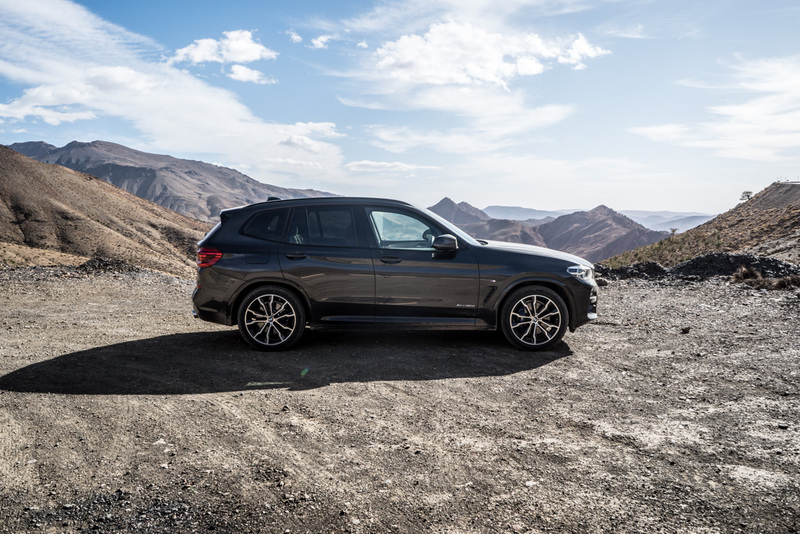 Even with rocks and intense terrain equaling a large percentage of our drive through the dessert, we were all pretty amazed at how the X3 was able to handle the elements in its standard spec. Who even needs a flying carpet? 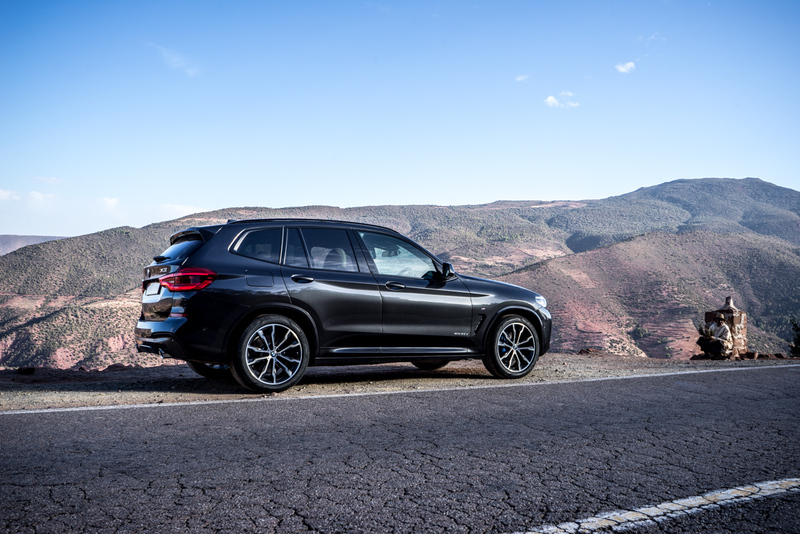 The BMW X3 is an all rounder. 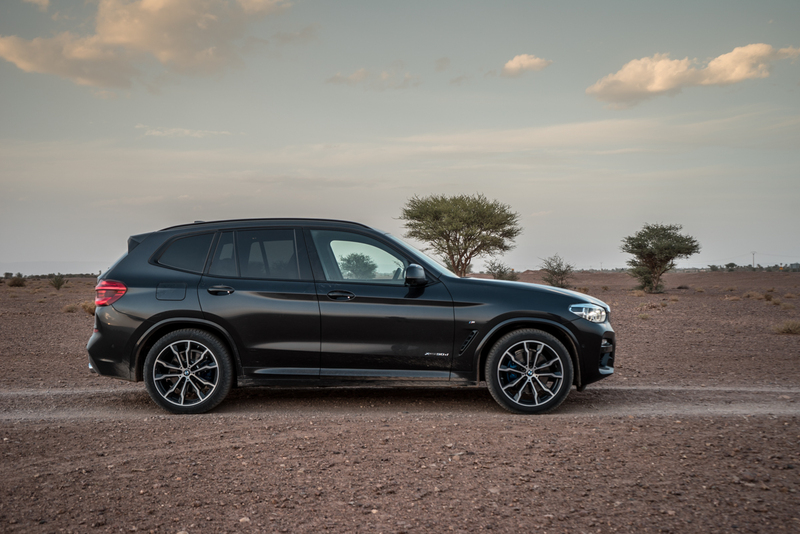 Its capable, stylish, fun, tech savvy and economical enough to be the perfect mid-sized SUV. It does everything you would want and serves as a natural adventurer. 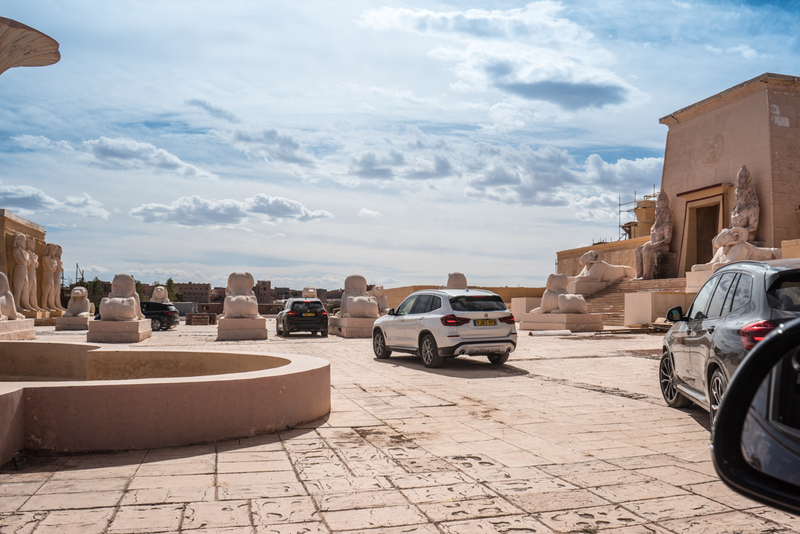 The kind of car you want to take on a road trip through the dessert or simply to the supermarket for some couscous. 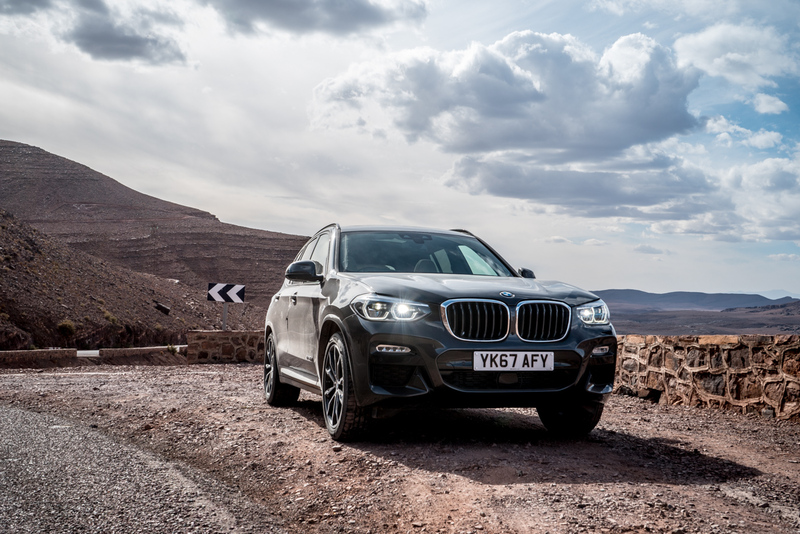 We are looking forward to driving the M40i as this will compete with the likes of the Porsche Macan GTS and the Range Rover Velar but first impressions on the new X3 are strong. Also, I must say, it was a great experience and such a special trip with our friends at BMW UK. They certainly know how to adventure. Thanks for the memories, guys! The BMW M3 CS Driven - Possibly The Best M3 Ever?